Increasing concern for the safety of ingredients in cosmetics has brought some widely used cosmetic preservatives by the family name ‘paraben’ to center stage. Paraben preservatives are listed under multiple names and are used to preserve the majority of cosmetics on the market today, not only to prevent the growth of bacteria and fungi but also to promote the abnormally long shelf-life of products. As with chemically preserved foods, paraben preserved cosmetics ensure that the cosmetic manufacturer can produce the product en masse and take comfort in a multi-year shelf life. Paraben preservatives have recently come into question with new studies that link the daily exposure of paraben preservatives to breast cancer and endocrine-disruption issues. Parabens – what exactly are they? Though paraben preservatives only account for a very small percentage of a product’s actual formula they are quite potent. A study published in the Journal of Applied Toxicology in 2004 expressed concern regarding the use of paraben preservatives. In the UK, researchers found traces of it in 19 out of 20 women with breast tumors. Though the studies did not determine if the ingredient was the cause of the breast tumors, it did establish that pervasive use of this synthetic ingredient is biocumulative. This artificial provocation and inflation of estrogen in the endocrine system has been linked to breast cancer in some women as well as the abnormal hormonal development of children including the hormonal “feminization of boys” which may influence the suspected link in decreasing testosterone levels and sperm count in the male reproductive system. It has also been hypothesized to contribute to the early maturation of girls at increasingly younger ages. Paraben – do all cosmetic companies use them? 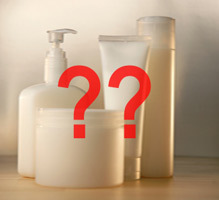 Not all cosmetic companies use paraben preservatives and many are phasing out their use now that enough questions have been raised about their overall long term safety. New cosmetic companies, more focused on offering natural and organic products, have made their “no paraben” policy a platform issue. This means there are a wide variety of paraben-free products which are mostly now available for purchase. With the increasing popularity of the natural and organic body care market more companies are jumping on the proverbial “natural” band wagon. With this additional commercial interest and the lack of FDA regulation around the word “natural” one must never rely solely on a company’s marketing and advertising claims and always read the ingredient label to confirm that an ingredient is truly not being used in the formula. There are good reasons why paraben preservatives are the defacto cosmetic preservative. They are cheap and effective. However, safer and more natural alternatives are available. With formulas that contain certain organic (living) ingredients and/or water as an ingredient, a more aggressive non-paraben preservative must be used to ensure the stability of the formula. In general, the next best option is a synthetic preservative called Phenoxyethanol which has a synthetic chemical composition inspired by a natural anti-bacterial/anti-microbial chemical found in the sage plant. It’s easier to use a natural preservative in formulas that are basically inert (like most powder mineral cosmetics) or have an oil base and no water (like lipstick or liners). In products such as these, a plant extract or essential oil with anti-microbial and anti-oxidant properties such as grapefruit seed extract, grape seed extract or tocopherol (vitamin E) is used as an effective preservative system. In any case, the manufacturer should perform proper stability testing to ensure that the product’s preservative system lasts. More comprehensive studies are needed to conclusively determine the true scope of the damaging effects of prolonged exposure to paraben preservatives by way of the cosmetic ingredients we use every day. A serious effort to reassess the safety of these products must be undertaken by a non-biased group of researchers. To date, among the studies that have been done world-wide, paraben preservatives have been linked to breast cancer and have been labelled as a possible endocrine disruptor that might have specific damaging consequences for young children and those with ongoing exposure. Luckily, we have more options than ever before and can take ourselves out of the equation entirely by educating ourselves and opting for products that use different preservative systems and fewer questionable ingredients in general. P.S. Thank you Janice for giving me the lead which enabled me to share with so many people. A couple of days back I came across a very useful blog post titled ‘Saffron Cantuccini’. The author of this blog is a very enterprising woman named Janice whose love for herbs is noteworthy. In fact, I told her so. Anybody who has even a slightest bit of interest in nature and anything related to nature should check out Janice’s blog. While going through her post ‘Saffron Cantuccini’, I myself came up with something on Saffron. Traditionally saffron is believed to promote fairness of the complexion. It is widely used in cosmetics, especially in fairness creams. It is an age-old belief that pregnant women give birth to ‘fair’ babies, if they consume saffron. 1. Make a paste of a pinch of saffron with sandalwood powder and 2 tsp of milk. 2. The paste should be thick and flowy in consistency. 3. Apply a thin mask on the face and let it dry. 5. This treatment is good for sensitive skin too.